Upon investigation into the research, it was demonstrated that women during pregnancy have a fall risk comparative to older adults over 65 1Dunning K. A major public health issue: the high incidence of falls during pregnancy. Maternal & Child Health. 2010;14: 720–725.2Opala-Berdzik A, Błaszczyk JW, Bacik B, Cieślińska-Świder J, Świder D, Sobota G, et al. Static Postural Stability in Women during and after Pregnancy: A Prospective Longitudinal Study. PLoS ONE. 2015; 10(6).3Swift CG. Care of older people: Falls in late life and their consequences–implementing effective services. Br Med. 2001; 322: 855–857 This can cause significant risk to the mama and baby. As you can imagine the ability to maintain postural control changes quickly as the mother’s uterus and abdomen grow, especially in the second and third trimesters. In addition, increase in joint laxity from hormonal changes will also have an affect on the mamas proprioception. The research also stated that other factors may contribute to decrease balance and coordination-sleep deprivation, musculoskeletal system changes (ex:ankle/knee proprioception), and alterations in the vestibular system. After 6 weeks postpartum, Ramachandra P, et al 2015, found that that ankle proprioception did not return to even those of the 1st trimester values!4Ramachandra P, Maiya AG, Kumar P, Kamath A. Ankle Proprioception Pattern in Women Across Various Trimesters of Pregnancy and Postpartum. Online J Health Allied Scs. 2015;14(4):7. Another reason to take it easy ladies as you start to transition to exercise. Maher, et al 2009, found that difference phases of the menstrual cycle influence the anticipatory postural control and balance performance of females.5Maher C, Hill-Lombardi V, Nishumura C, Redavid L, Stephens J, Cheifitz L. Influence of Menstrual Cycle Phases to Balance and Postural Sway in Women 18 to 28 Years Old. JWHPT. 2009; 33(1):15-16. During the luteal phase, increase in estradiol may have an impact on reducing ligament strength during step up and over test. It was also shown, in this pilot study, that reduction in estrogen affected a forward lunge movement. Yet another time during the postpartum stage to be aware of the different types of exercise that you perform as well as that you may not have the same dynamic balance strategies during different phases of your cycle. I highly suggest you have a spotter near by and/or use your kitchen counter/dresser for support when you first attempt to try any of the proprioceptive exercises I have shown. I have been performing these exercises in and out of clinic for almost 20 years and my brain has developed the connections to be familiar with these movements to be able to show you without support. Also, I suggest using painters tape to create a cheap ladder that is flat on the floor so as not to create a tripping hazard. Once you have mastered these movements you may progress to independence without a spotter or support. 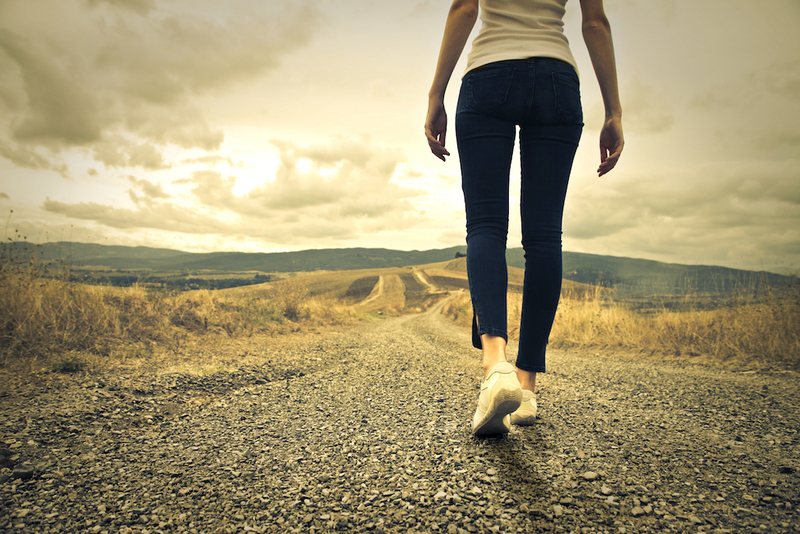 After ~5 days or more of rest, post L&D, begin to slowly walk a bit more than 10-25 feet. Slowly take small steps sideways while holding onto my dresser. This is the beginning of a small challenge of proprioceptive input into your new and beautiful 4th trimester body. Soon after, slowly implement the other activities shown with the permission of your health care provider. 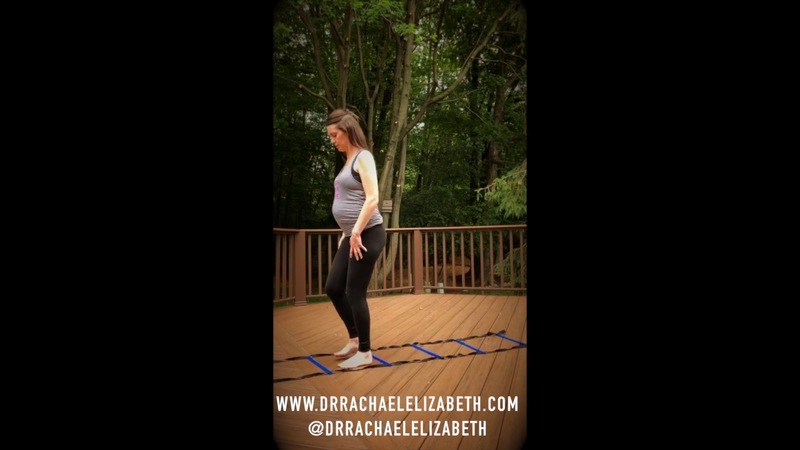 Please contact me for an appropriate and personal proprioceptive plan;) which will be the BEST step towards preventing falls, and developing a strong awareness of where your body is at in space during your pregnancy and postpartum. Please remember that all exercise should be approved by your healthcare provider, and be pain and symptom free. 1. ⇧ Dunning K. A major public health issue: the high incidence of falls during pregnancy. Maternal & Child Health. 2010;14: 720–725. 2. ⇧ Opala-Berdzik A, Błaszczyk JW, Bacik B, Cieślińska-Świder J, Świder D, Sobota G, et al. Static Postural Stability in Women during and after Pregnancy: A Prospective Longitudinal Study. PLoS ONE. 2015; 10(6). 4. ⇧ Ramachandra P, Maiya AG, Kumar P, Kamath A. Ankle Proprioception Pattern in Women Across Various Trimesters of Pregnancy and Postpartum. Online J Health Allied Scs. 2015;14(4):7. 5. ⇧ Maher C, Hill-Lombardi V, Nishumura C, Redavid L, Stephens J, Cheifitz L. Influence of Menstrual Cycle Phases to Balance and Postural Sway in Women 18 to 28 Years Old. JWHPT. 2009; 33(1):15-16.